Bernadine Powell at age 93 is full of a happy spirit. She invited everyone to her 93rd birthday. The birthday cake had ’94’ because she plans to have another party next year. This gal just loves life and is so happy and cheerful. Years ago in Broaddus, Tx she would not miss a basketball game. She was also an accomplished artist and loved painting. She could not wait til the cake was cut and the Blue Bell served. After the party, she was ready for a rest but not before she expressed her appreciation for every one attending her party. She was a ‘hoot’. Bernadine’s has one son, Charles Powell. Every Sunday, Charles brings Dixie to visit with his mom. She looks forward to seeing and visiting with Dixie, her dog. and keep that wonderful smile. Alvin, you ain’t goin’ to amount to nuthin’ unless you change your ways and trust in God. Alvin was born in 1887 to a hillbilly family in the Tennessee mountains. He was the third of eleven children. His dad worked as a blacksmith and as a logger to provide for his family. His mom knitted all family clothing and struggled to keep enough food on the table for all the family. The kids attended very little school as they were needed to work in the fields and harvest their own food. The boys hunted to provide meat for the family. Alvin was a good hunter with his stalking skills and became a dead-eye shot. At age 24, Alvin’s dad died. He was counted on to assist his mom in raising his younger brothers and sisters. Alvin worked in railroad construction and as a logger. Alvin loved to drink and fight. He spent lots of time in the local jails. His Godly mother tried to persuade Alvin to change his ways because she worried he would “amount to nothing unless he changed his ways and trusted God’’. Alvin had his own agenda as he and his best friend wanted to prove they were the toughest. His mother’s words went in one ear and out the other but her voice was lodged in his heart. At age 27, his life changed as he and his best friend engaged in a fight with other saloon patrons during a night of heavy drinking. The incident resulted in his friend being beaten to death inside a saloon. The event was profound enough that Alvin followed his mother’s advice and stopped drinking alcohol. He was baptized as a born again Christian . At age 29, Alvin registered for the draft as all men between 21 and 31 years of age. When he registered for the draft, he answered the question “Do you claim exemption from draft (specify grounds)?” by writing “Yes. Don’t Want To Fight.” His claim for conscientious objector status was denied. Alvin enlisted in the United States Army as WWI was beginning. He continued to read his bible and study God’s Word. He discussed his Biblical stance on war with his company commander and was convinced that warfare could be justified. All of the commanding officers were killed so Alvin assumed command and led an attack with a few other soldiers on the German machine guns taking out 32 machine guns, killing 28 German soldiers and capturing 132 others. He was awarded the Congressional Medal of Honor for his actions. Like most heroes, he shrugged it off and suggested anyone would have done the same thing. Later he would remember thinking, “A higher power than man power guided and watched over me and told me what to do”. After the war his story was published in the Saturday Evening Post. Alvin refused many offers to profit from his fame, including thousands of dollars offered for appearances, newspaper articles, and movie rights to his life story. Companies wanted him to appear in advertisements or to pose with their products. He would lend his name to various charitable and civic causes. He worked hard to develop his native area of Tennessee and wanted to build a Bible School. Alvin had refused several times to authorize a film version of his life story. Finally, in 1940, as he was looking to finance an interdenominational Bible school, he yielded. In 1941, the movie Sergeant York with Gary Cooper in the title role told about his life and Medal of Honor action. The screenplay included much fictitious material though it was based on Alvin York’s Diary. It received 11 Oscar nominations and won two, including the Academy Award for Best Actor for Cooper. It was the highest-grossing picture of 1941. York’s earnings from the film, was about $150,000 in the first 2 years. Alvin eventually built part of his planned Bible school, which hosted 100 students until the late 1950s. God was an important part of his life and he never failed to acknowledge his faith and the influence of his Godly mother as her words echoed through his soul, “Alvin, you ain’t going to amount nuthin’ unless you change your ways and trust God”. Well he did and he did. York died at the Veterans Hospital in Nashville, Tennessee, on September 2, 1964 and was buried at the Wolf River Cemetery in Pall Mall. His funeral sermon was delivered by Richard G. Humble, General Superintendent of the Churches of Christ in Christian Union. Humble also preached Mrs. York’s funeral in 1984. So the question is, can you be the Godly person that might lodge God’s Word in the heart of someone? September has been filled with lots of birthday celebrations at Hemphill Care Center. Residents who had a birthday this month were Leola Miller, Sally Sullivan, Mina Keel, Bobbie Gross, Jerry Fields, Verdell Easley, Mary Smith, Ruby Williams, Eva Powell, Bill Ener and Bernadine Powell. Birthdays are a gift from God to be treasured every year. We would like to extend our congratulations to our Volunteers of the Month, Diana and Richard Schuck, our Resident of the Month Mary Howell and our Employees of the month, Julia White and Tiffany Green. The residents would like to say “Thank You” to our friends at East Mayfield Baptist Church and Pamela Sykes for their generous gifts of lotion, body wash, shampoo and deodorant. September was kicked off with a Labor Day Celebration. Our Activity Department surprised us with delicious sundaes and banana splits to make our holiday special. We welcomed our Hemphill Garden Club friends back from their summer vacation. They helped us make frames with beautiful nature pictures which were taken in our own Sabine County and Toledo Bend Lake area. Laughter filled the air when the Lakes Area Hospice Clowns arrived on the 7th. We had a fun-filled afternoon singing, laughing and having a pillow tossing contest to see who could catch the most! We were delighted to have Quincy Martindale from Odyssey Hospice come to entertain us with his beautiful piano music and gospel favorite. We also enjoyed an afternoon concert given by the Pineywoods Pickers, who played bluegrass and gospel oldies for us. Our hearts were blessed with worship services and singings provided by the following churches: Hemphill’s First Baptist Church, Fairdale Baptist Church, Bethel Chapel Church, Hemphill’s Church of Christ, Macedonia Baptist Church and Bethany Baptist Church of Milam. We were delighted to play lively bingo games with the Church of Christ, Parkway Baptist Church, Lacey with Apineywoods Home Health and our own activity staff. Thanks to all our bingo sponsors for the nice prizes that were given to all the winners. C. J. Michaels came and rocked the house with his old country music and his delightful singing. We had a toe-tapping good time. We welcome back our Social Director Tiffany Green, who has been on maternity leave all summer and now she’s back in the swing of things working and having fun with us and our activity staff. Delois Thomas, Supervisor, Felicia Smith, Lennie White Dolores James, Patty Helmer, Quenna Brown and Eliade Carranza. We all had a great time at the Hemphill High School Homecoming parade on the 17th. It was exciting to find out that our float won 1st place! The VFW Ladies Auxiliary Post 10351 brightened our Monday with ice cream sandwiches which we all enjoyed. A big “Thank You” goes to Benton Poindexter for his Saturday night ice cream socials every month. 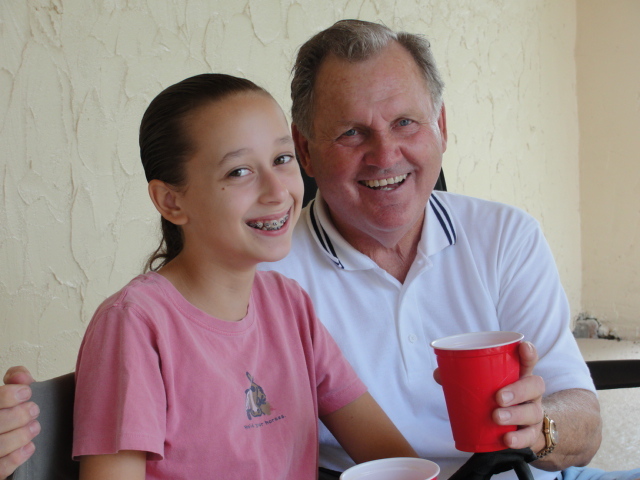 Friends and family are always welcomed guests here at the Care Center. Visitors always give us “Days on the Bright Side”. Last year these rascals showed up and did lots of damage to our tree farm. We trapped about a dozen and they left. 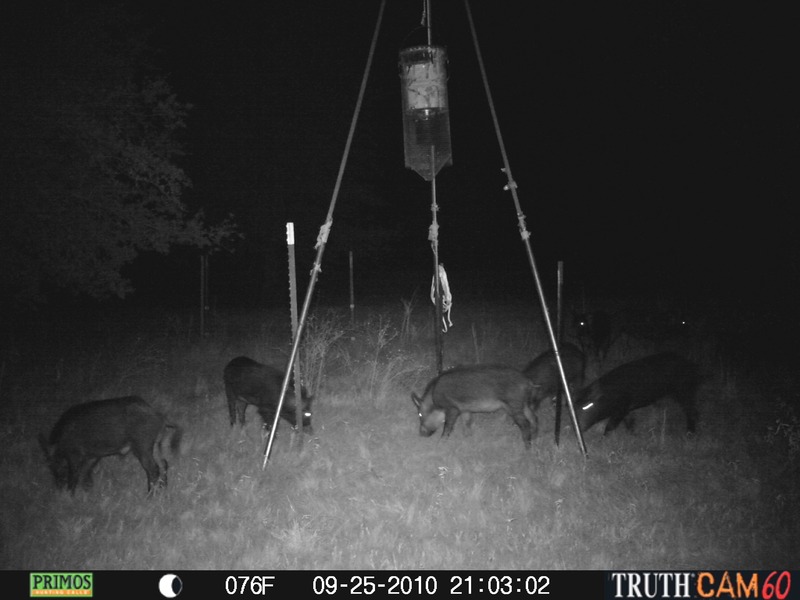 Well with this cool weather, the traps will be activated and fresh pork will be on the grill by the weekend. OH, WHEN WILL FRED QUIT THIS CRAZY HABIT ? She runs around… she runs about… are all maids terribly frantic? The hymn, Amazing Grace, is possibly the best loved Gospel song that has ever been written. The words were written in 1773 by John Newton, a blind man, who was a slave owner in England. Newton ran a slave boat and made many trips to buy slaves. He was very brutal and hard-hearted toward the men who were under him. On one such trip, a horrible storm occurred and the sea was so rough that John Newton became frightened for his life. He fell on his knees and prayed for God’s mercy. After the storm was over, he realized that God saved him from danger along with his crew. “I am not what I ought to be, I am not what I want to be, I am not what I hope to be in another world; but still I am not what I once used to be, and by the grace of God, I am what I am”. This beautiful hymn has brought comfort to millions of people through the years and has brought joy to many Christian’s hearts. For about 200 years, this was just another Gospel song until God blessed it by it’s being recorded b Judy Collins in 1970. It then became the number one hit in both the United Kingdom and United States of America. God’s amazing grace is available to all people of all faiths and is God’s gift to mankind through His Son, Jesus Christ who gave His life so that all who believe can have eternal life. Next time you’re in a group, try this little experiment: Take a big yawn, cover your mouth out of courtesy, and watch and see how many people yawn. There’s a good chance that you’ll set off a chain reaction of yawns. Before you finish reading this, it’s likely that you will yawn at least once. Don’t misunderstand, this posting is not intended to bore you, but just reading about yawning will make you yawn, just as seeing or hearing someone else yawn makes us yawn. 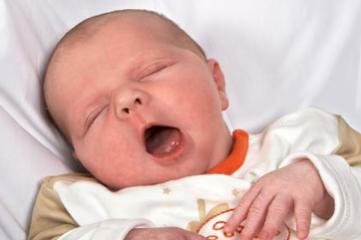 ­What’s behind this mysterious epidemic of yawning? First, look at what a yawn is. Yawning is an involuntary action that causes us to open our mouths wide and breathe in deeply. We know it’s involuntary because we do it even before we are born. 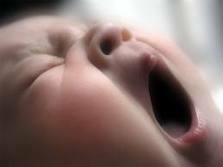 Research shows that 11-week-old fetuses yawn. There are many parts of the body that are in action when you yawn. First, your mouth opens and jaw drops, allowing as much air to be taken in as possible. When you inhale, the air taken in is filling your lungs. Your abdominal muscles flex and your diaphragm is pushed down. The air you breath in expands the lungs to capacity and then some of the air is blown back out.